Celebrate the film “Fantastic Beasts: The Crimes of Grindelwald” and revel in a holiday season bursting with the magic of J. K. Rowling’s world by embarking on your very own search for magical creatures! Climb a 150-year-old staircase, explore a maze of hallways and hidden rooms, peek around corners and into shadows to discover the real creatures and stories behind these fantastic beasts. Where CAN you find them? Look no further than the hallowed halls of the Harvard Museum of Natural History, the Peabody Museum of Archaeology & Ethnology, and the Harvard Semitic Museum. 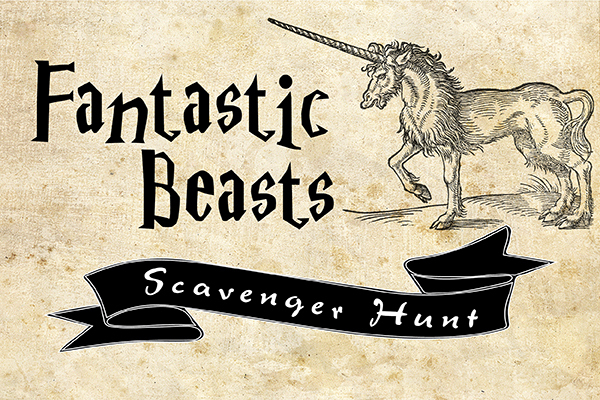 Witches, wizards, muggles, and magizoologists of all ages are invited to pick up the Fantastic Beasts Scavenger Hunt clue sheets at any of these Harvard museums and begin a quest to uncover the hiding places for a host of amazing creatures. Find them all, and you win a small prize! The spell is cast and the adventure begins Nov. 18, but time is limited, so plan your visit now. The magic ends on Jan. 6. Cost: Regular admission rates apply.